Think you don't have enough money to invest? You can start with as little as $5. Read our top ways to invest a little money and start earning now. Contribute to an employer IRA. Use a robo advisor to automatically invest. Buy individual stocks through a discount brokerage firm. Find low minimum mutual funds. It's easy to talk yourself out of investing when you don't much money to put up. But even a few dollars can go far. If you've been sticking to savings accounts, you're not doing yourself any favors. These accounts offer next to nothing in interest, making them nothing more than a place to park your money. Investing in stocks helps you save for the future. It may take some time to see a serious return on your investment, but it is worth it. If you are considering opening a brokerage account, you must check out these promotions. Your misconceptions about investing may be holding you back from saving for your future. Here are some common investment myths - and the truth about them. Myth: You have to be rich to use a brokerage account. Fact: This is the most common myth. The truth is, there are now many online brokerage firms allowing investments lower than $1,000. In fact, some brokerage firms waive their minimum investment requirement in exchange for regular monthly deposits. In order to waive the minimum, you sign a contract agreeing to a specific monthly deposit. The amount varies by brokerage firm. Several firms offer minimum deposit requirements of $100 per month with low initial investments. If you could invest $100 in a diversified fund, wouldn't you rather take the chance? Consider the return you receive on your savings account. Even "high paying" savings accounts only provide a few cents worth of interest. A diversified fund generally provides a higher payout, especially if you are in it for the long run. Myth: You have to have enough money to buy a diversified portfolio. Fact: A diversified portfolio is the best way to lower your overall risk. But it's not only for the wealthy. Many firms offer ETFs (Exchange Traded Funds). These make it possible to invest in a variety of investments with little money. ETFs work alongside an index, such as the S&P 500. Purchasing ETF shares gives you a portion of the portfolio of the entire index. Some stocks in the index may do well and others may do poorly. They balance each other out, though, which diversifies your risk. Key Fact: ETFs provide new investors with the diversification necessary to avoid large losses. They do not require individually purchased stocks, bonds, or mutual funds. You could purchase one or several ETFs the same way you would purchase stock shares. Myth: You are restricted to penny stocks unless you have a lot of money. Fact: As a new investor, you DON'T want to invest in highly volatile penny stocks. By definition, penny stocks are stocks trading for less than $5. But they're priced low for a reason - the companies behind them may not last for much longer or they're just starting out. Investors with little money tend to do better with blue-chip companies with a long history. The highs and lows are usually less volatile than what you'd experience with penny stocks. Myth: You need a lot of money to buy stocks. Fact: Dividend Reinvestment Plans (DRIPs) make it possible to inexpensively invest in a company. You can bypass the need for a broker and only need to purchase one share. Reinvesting the dividends: As the name suggests, the dividends the company pays you are directly reinvested. Basically, you purchase more shares with the profits you make from the stock. 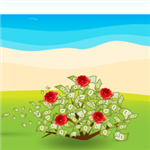 Regular investments: You can set up small, regular contributions money each month. This enables you to continually purchase more shares. Tip: Many DRIPs do not have any commissions, but don't assume. Check with the company to determine the cost, especially if you plan to regularly reinvest in the stocks. Myth: Mutual funds are only available for those who have thousands of dollars lying around. Fact: Mutual funds are an affordable way to diversify your portfolio with little money. Yes, some funds require very large investments. But many funds have very low minimum investment requirements, if any. Mutual funds are a great long-term investment with a wide range of diversification. Ready to invest? Follow these east steps. Get a financial checkup Are you in over your head in debt? Do you have an emergency fund? You can still have debt and be a smart investor - but you need to be on solid ground before investing any money. Pay off credit card debt If you're not able to pay off your credit cards every month, the interest you're adding could negate any returns you'll make on investments. You're better off putting any extra funds toward your credit card debt than trying the investing route. Set up an emergency fund At a minimum, you should have $1,000 for minor emergencies. Eventually, you should work up to saving 3 to 6 months' worth of income. This protects you against the unexpected. If you have credit card debt or little money in your savings account, investing may seem like a far-off goal. But you can save $1,000 in one year with less than $100 per month. Every extra dollar you pay towards your credit card debt helps lower the interest you pay. Stay consistent and you'll be ready to invest sooner rather than later. So how much money do you need to start investing? There is no magic answer to this question. Trading apps allow investments as low as $5 for a list of funds. Unlike investing directly in stocks, you own a part of the stock with other investors. You also get diversification with these funds, so the risk level is lower. You can also start investing with $100 or $500. Choose from ETFs or DRIPs. These offer a lower risk level, since they provide diversification. You can also invest directly in stocks if you have your heart set on a particular company. But investing directly puts all of your eggs in one basket, which is not an ideal situation if that company gets in financial trouble. You only need $5 to invest in your favorite stocks with Stockpile. In the past, you needed a few thousand dollars to open an account at a brokerage like E*Trade or Vanguard, and you had to buy a full share. With Stockpile, you can buy popular and typically expensive stocks like Amazon, Berkshire Hathaway-B, and Alphabet at whatever dollar amount you want, even $5. Fractional shares make investing accessible to all. When you're ready to begin, the key is in research.Technology has brought forth many discount brokerage firms. The right one for you depends on personal preference. Read brokerage reviews to see what other investors have to say. Just because there is a brand-new brokerage app available doesn't mean it is the best one. Take your time and figure out where your money will do the best. There is no way to predict how investments will fare, but doing your own research will help. Can you buy a single share of stock? Yes. Discount brokerage firms allow you to purchase one share of stock, though many charge a fee. You can also buy a portion of a stock through a Dividend Re-Investment Plan (DRIP). This can be a starting point to future investing. You have an overwhelming choices you have at your disposal, even without a broker. Here are some simple options for investing with little money. Never give away free money! That is exactly what an Employer-Sponsored IRA offers. If your employer provides matching contributions, this investment is a must. Maximize your contributions to take advantage of your employer's match. If you cannot afford the maximum contribution yet, try to work up to that point. Even a small percentage of each paycheck will build up over time. TIP: Set up automatic withdrawals to contribute to an employer-sponsored IRA. You never see the funds since they are automatically deposited. So after the first few times, you will not even miss the money. Today "robo advisors" handle automatic investments. You can find them online or in your phone's app store. These online advisors handle your portfolio for you. Typically, you sign an agreement regarding the amount you will deposit each month. Many firms do charge a small management fee. Make sure to read the fine print before signing up with the firm. Mutual funds are a collection or portfolio of stocks, bonds and other financial holdings. Some brokerage firms and mutual fund companies have investment minimums of $500 and even higher. But some companies charge much less. Vanguard allow you to invest in some ETFs or Exchange Traded Funds for the cost of one share. Fidelity now offers several no-minimum investment funds as well. Tip: Since mutual funds have a variety of stocks and bonds, they are a more diversified - and sometimes less risky - investment than stock in an individual company. Of course, this depends on the types of holdings of a particular fund - a more aggressive fund can still carry quite a bit of risk. Many discount brokerage firms make it easy to purchase individual stocks. These firms charge minimal fees. If you want to own a portion of a stock because you have little to invest, consider DRIPs. The Dividend Reinvestment Plan allows you to start with a minimal investment and work your way up. Your reinvested dividends or contributions build up your ownership of the company's stock. If you want an investment with the lowest possible risk, treasury securities are a good bet. These securities do not change with the market - they are predictable. They are the United States Treasury Department's debt to the security holders. Each security has its own maturity date. They range from 30 days to 30 years. NOTE: Make sure to only invest money you can part with until the maturity date. If you cash the bill in earlier, you risk losing a portion of the principal. You get in the habit of investing. Sometimes getting started is the hardest part. You think you cannot part with even $1 each week or month. This type of thinking is what prevents people from investing. If you start with just $5 or $10 and contribute regularly, you get into the habit of investing regularly. Down the road, you will likely find yourself wanting to invest more. You broaden your horizons. There is much more to invest in than stocks alone. If you are not a risk taker, there are many options available. If you only have a small amount of money available to invest, it forces you to think outside the box. Investing in DRIPs or ETFs are great examples of profitable investments for little initial deposits. You diversify your risk. 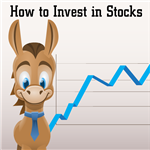 The less money you have to invest, the less likely it is you will directly purchase stocks. Instead, you will likely stick to the index funds or Dividend Reinvestment Plans. Both options offer diversification and the chance to build your investment over time. There are also downsides to investing with little money. Long wait for a return on your investment. You need to plan for the long term. Don't invest money you may need in the next few months or year. Instead, invest money you won't miss in order to let it do its job and grow. Purchasing individual stocks from large companies is nearly impossible. With only small amount of money, you have to stick with DRIPs or ETFs to invest in a particular company. Monthly deposit requirements. To waive brokerage fees, you may need to meet minimum deposit requirements. Little assistance. Your access to advice is usually quite limited unless you have a large amount of money to invest. Everyone should invest at some point. But only you know when the time is right. Don't invest if you have a large amount of credit card debt or don't have the start of an emergency fund going. But the sooner you begin - even with just a few dollars - the quicker you can grow your funds. 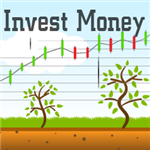 Leave a comment about How to Invest in Stocks with Little Money?